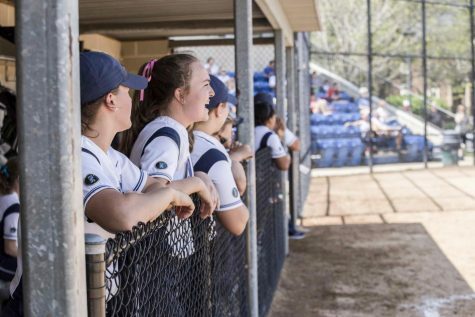 In case you missed it after leaving campus last semester, the Case Western University softball team achieved a historic feat in May by placing sixth at the NCAA National Tournament. Here is a recap of the run. Greatness can be hard to define, but is easily recognizable. 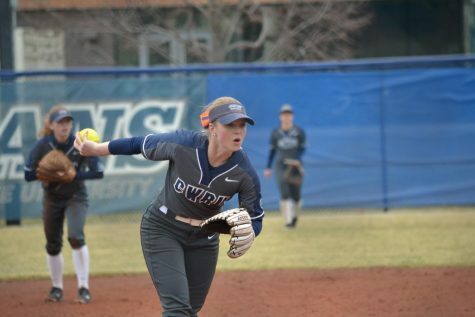 The Case Western Reserve University softball team undoubtedly achieved greatness this past spring. 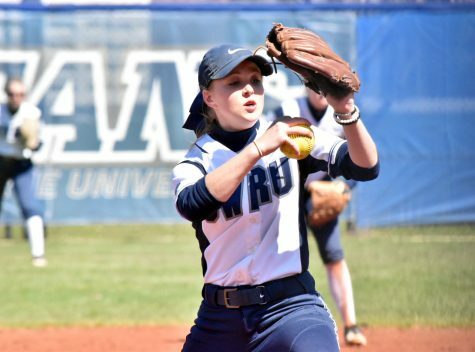 In what could be argued as the best season in CWRU team athletics history, they finished tied for fifth in the NCAA tournament, a remarkable run for a team that was unranked for most of the season. At the end of the regular season, it really was up in the air whether or not the team would even receive a bid to the regional tournament. But their strength of schedule and impressive 8-0 record to end the year put the team over the edge, earning just their second bid to the tournament in the program’s history. The regional round of the tournament was a four team, double-elimination tournament to decide who advanced to the Super Regional. 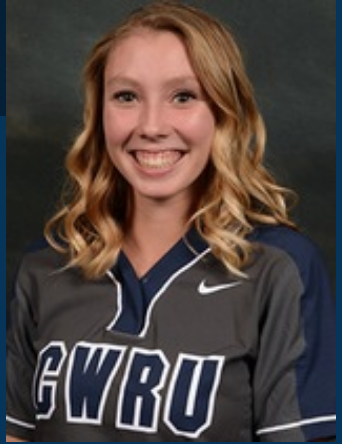 CWRU lost in their first game to Ohio Northern University in a 1-0 thriller. The Spartans managed to get more runners on base but couldn’t muster any of them across the plate. 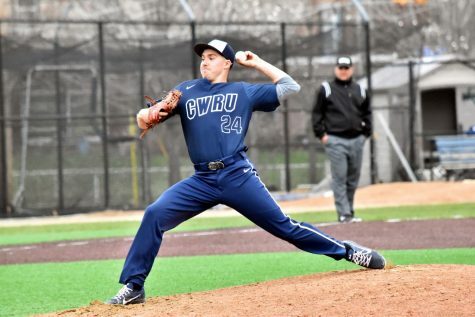 After this early loss, the pressure was on CWRU to win the rest of their games or go home early. The team bounced back after the loss, winning four straight games, including a 6-2 win over the top seed and host in the regional and back-to-back wins against Ohio Northern to finish off the Notre Dame Regional Tournament. Other than the loss, the Spartans’ bats were not a problem, scoring no fewer than five runs in each of the final four games. The pitching was excellent as well, allowing an unbelievably low four runs over the course of all five games. After the Notre Dame Regional, the Spartans traveled up to Michigan to face Hope College in the Super Regionals. The winner of the three game series would advance to the national tournament. 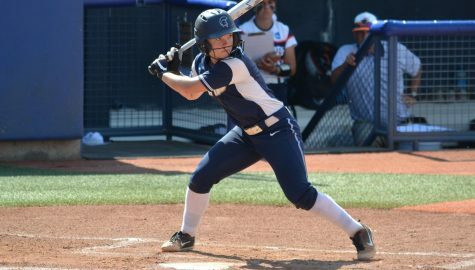 After splitting the first two games of the series, CWRU won the pivotal third game, earning their first ever visit to the NCAA DIII Softball Championship in Oklahoma City, Oklahoma. 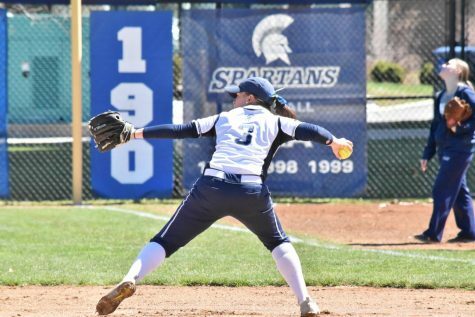 At the NCAAs, a double-elimination tournament featuring the eight qualifying teams, the Spartans went 1-2, losing their first and third games but winning their second in extra innings by way of a walk-off hit by fourth-year first baseman Grace Tritchler. Above all else, Henry felt a sense of honor for getting to work such a wonderful group of coaches and players who were able to accomplish so much. She said that the coaching staff challenged the team to thrive despite a busy workload of athletics and academics that could put one in the mindset of simply surviving. After such a historic year, it is safe to say that this team surpassed all expectations, except maybe their own.